DG Taylor Commercial Vehicles Ltd specialises in the sale and hire of new and used commercial vehicles and trailers. We’re experts in a wide range of leading vehicle manufacturers including Scania, Volvo, DAF and MAN. We’re a UK-based and family-owned commercial vehicle dealer with a renowned reputation for supplying high-quality vehicles, along with fantastic customer service. It’s why so many of our customers choose us time and time again. With almost 40 years’ knowledge and expertise we can help you find exactly the right tractor unit, rigid vehicle or trailer to meet your needs. Browse through our website to find a range of used commercial vehicles for sale from the world’s most respected manufacturers. 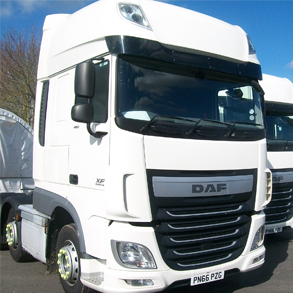 Our range includes used DAF trucks, used Scania trucks and used Volvo trucks. 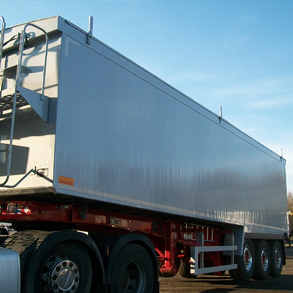 We also offer new and used commercial trailers and tipping trailers for sale including Fruehauf tipping trailers and Wilcox tipping trailers. So if youâ€™re looking for commercial vehicles for sale or hire, or commercial trailers for sale; take a look through our wide selection of new and used trucks, tipping trailers, rigid trucks and tractor units. And if you canâ€™t find what youâ€™re looking for or simply need some help and friendly advice, give us a call on 01377 270 815.